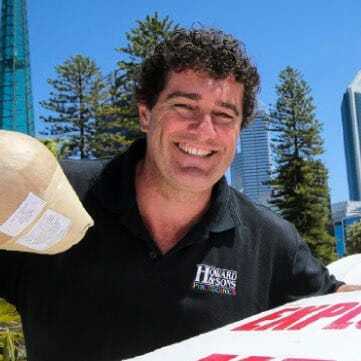 Shayne is a Master Pyrotechnician who has been working in the Howard & Sons family for the past 11 years presenting displays in Perth along with major events in Australia and around the globe. Shayne has an extensive career in live television production, which is not too dissimilar to producing pyrotechnic productions; you only get one shot to get it right. Shayne is a regular senior crewmember on numerous Howard & Sons Pyrotechnics large-scale productions which include Perth Skyworks, New Years Eve Celebrations, NT Day Celebrations, Commonwealth Games Ceremonies, International Fireworks Competitions and National Day Celebrations in the Middle East, earning him the nickname of ‘Big Show’. When Big Show is not working on Big Shows he enjoys the serenity of the family farm located in the beautiful Margret River area of Western Australian with his wife Helen. Escaping Australian winters to get odd jobs done in the family’s Croatian mud-brick house, photography and cooking anything in his outdoor wood fired oven are also high up on his list of hobbies.